This plaque to honour Flying Officer Donald Taylor is on the wall of the address of the house where he crashed in Europe, in 1945. A piece of a glass from the cockpit of Donald Taylor's Spitfire is all that's left of the crash which took his life, and three others, during World War II. 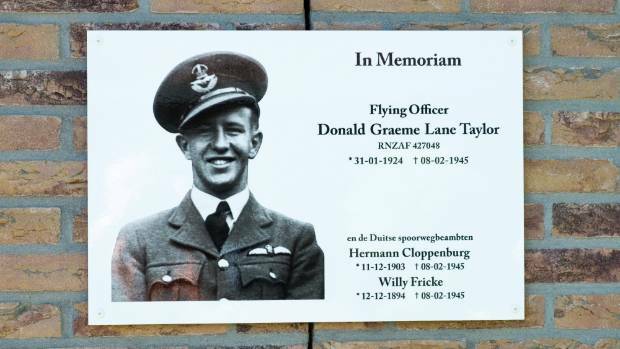 People living in The Netherlands town of Haren, where RNZAF Flying Officer Donald Graeme Lane Taylor died, would not have met the Cambridge man all those years ago. But some of the town's older citizens still remembered the night his plane crashed and recently they honoured Taylor's memory, joining a Kiwi relative of the pilot to unveil a plaque there. 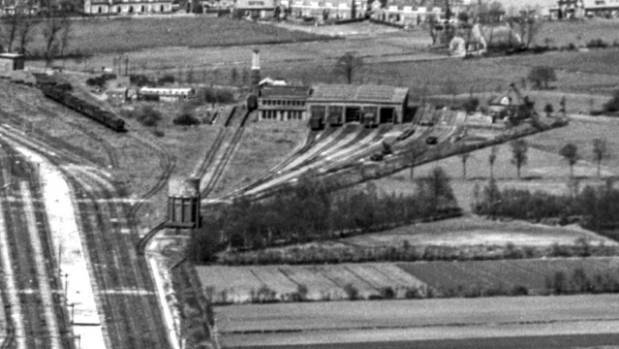 A photo taken during World War II showing the rail yards which were the focus of Donald Taylor's squadron attack and the water tower which his Spitfire clipped. Taylor grew up in Cambridge around Vogel Street and attended Cambridge Primary School and Cambridge District High School. He enlisted for service in 1942. Rae and Colin Holmes stand behind the headstone of Colin's uncle, Donald Taylor. He was a popular and well-known man about town before he set off for war. He was keen on rugby, tennis, swimming and shooting. At the official farewell from Cambridge, at the Patriotic Committee Dance, Taylor made a farewell speech on behalf of 26 men who were leaving for active service. It was in February, 1945, that 21-year-old Taylor was flying a reconnaissance night-time mission over Groningen-Zwolle, in the Netherlands. 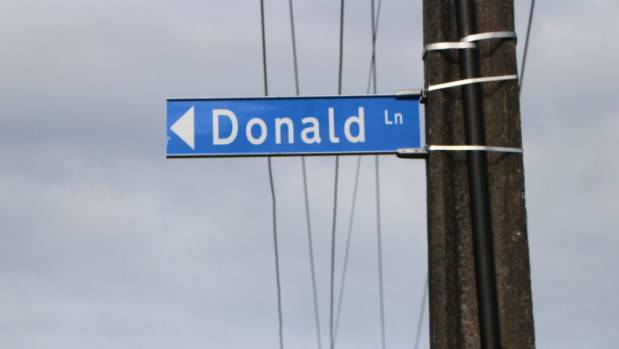 Donald Lane, a cul-de-sac off Vogel Street in Cambridge was named in memory of Donald Taylor. At Onnen, 6km southeast of Groningen, the squadron strafed a small marshalling yard which had a locomotive repair workshop adjacent. The Spitfires attacked a departing train, pulled up, turned and came in for another pass. It was during this manouevre Taylor took his plane low, one of its wings clipped a water tower as it passed, causing it to crash. 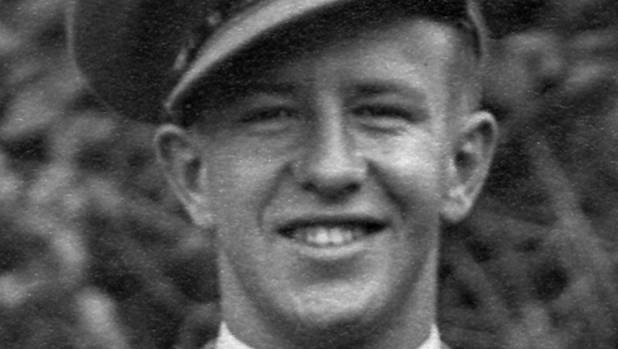 RNZAF Flying Officer Donald Taylor left Cambridge as a 21 year old and never returned. 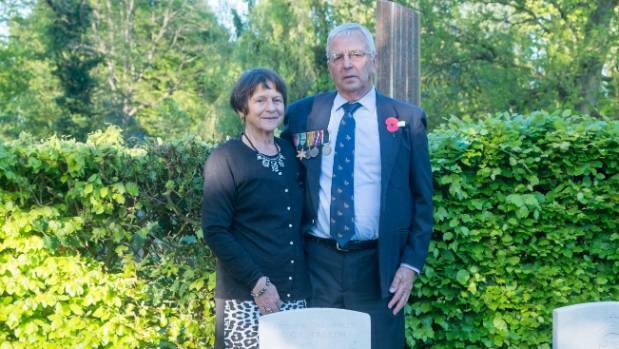 In May, a plaque was unveiled by Taylor's nephew Colin Holmes, as a memorial to the Kiwi pilot. The journey from Taylor's death, to the unveiling of the plaque, had taken 63 years. Dutch researcher Dirk Munk worked on updating the details of Taylor's death, which prompted him to search for relatives of the pilot. His journey led him to the Cambridge Museum where he found a family photo of Taylor among its records. Munk then contacted a now 69-year-old Colin Holmes living at Mount Maunganui. Holmes said he was surprised as since childhood wondered what happened to his mother's brother, who didn't return from the war. "Once contacted I had to find out more and we started a year-long chain of correspondence," Holmes said. Holmes indicated he would like to visit the grave of his uncle. He had an opportunity when he was in Europe and made arrangements. "It was very emotional for me. I unveiled a plaque in remembrance of my uncle on the wall of the address where he had crashed. "I spent some time speaking with four men who were in their teens in 1945, who watched the plane clip the water tower, eventually smashing through a row of trees and crashing into a house killing three railway workers. "I heard how locals tried to save my uncle from the burning wreck, but it was too late, they said." One of them, Peter Vos, recovered some plexiglass from the cockpit. "At the remembrance, Peter came up to me and gave me a piece of the glass he still had for a memento," Holmes said. "It was special to be able to speak to people who were there on that day and see with my own eyes. "It is unbelievable how many memories people still have of that day. "The fact people from all over the world were prepared to rise to the challenge the war presented and give their lives for people they had never met, will always be remembered." Much of what appears in the Stuff article is incorrect. Relying on ancient memories of those who were only children at the time is not a good idea! The following is my account of Taylor's death published in Vol Two of my For Your Tomorrow in 1999. The crash details were sourced from a Dutch Police and eyewitness report supplied by Dutch aviation historian Aad Neeven. Spitfire LF.IXE MK529 - took off at 0925 with 11 others, being the only one not to return. At Onnen, 6km SE of Groningen, the Squadron strafed a small marshalling yard and railway station. A departing train was attacked, the Spitfires pulling up, turning, and coming in for a second pass at 1010. MK529 flew so low that a wing hit a lamppost on the yard perimeter. The wing broke off causing the aircraft to hit the ground, bounce, and hit a house at the Blekerweg. The pilot was killed in the crash and is buried at Haren. Two German soldiers inside the house also died. 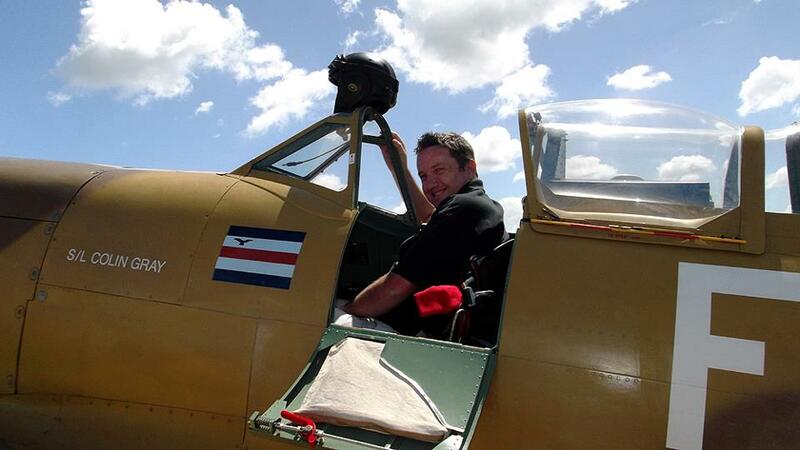 Pilot: NZ427048 Fg Off Donald Graeme Lane TAYLOR, RNZAF - Age 21. 654hrs. The CWGC register incorrectly gives Taylor’s date of death as the 10th, in fact the date of his burial. His exact number of ops is unknown, but according to official records it was ‘nearly’ 120 ops. Errol, I had that version on my webpage but Dutch historian Dirk Munk contacted me and said he'd done a lot of research into the accident and the official record is incorrect in his view and the aircraft actually hit a water tower. Have you conversed with Dirk on this? When he first came to me some while back I gave him your details. Not heard of him until now but Aad Neeven is well known to me over many years. Aad referred to the Police report so it would be interesting to learn what evidence Dirk has to contradict what Aad had given me. Interviewing eyewitnesses long after an event which they claimed to have witnessed when only children is a most unreliable method unless contemporary evidence can be found to back up the memory; otherwise we are in Richard Pearse flew-first type territory! Note also that the article refers to the event being at 'night' whereas 485 was a day-fighter squadron that had taken off for the sortie in mid-morning. Yes the night time nonsense is all the work of our local reporter who wrote the article. I have no idea how he construed taking off at 9.25hrs to be night time. The local reporter is not very good at arithmetic, either. It is now 73 years, not 63. The two German citizens killed were probably not soldiers. A translation of "spoorwegbeambten" is railway officials so likely civilians employed in a supervisory role by the Occupation to ensure that the rail-yards were run in a manner suitable to the interests of Germany. Yes they were German railway workers I believe. I'd also been told three of them were killed but now I am not sure of that.